Thank you for making 2019 Maryland Day a Huge Success! | Check back soon to learn more about the 2020 Maryland Day Weekend in Planning. The weekend date will be determined soon. Maryland Day celebrations in Annapolis and Anne Arundel County are a hit with family and friends getting together to experience the local history, culture and heritage of the region. Many know we have the signers of the Declaration of Independence calling the area home, regional arts destinations like Maryland Hall and our rich maritime history with the Chesapeake Bay but we have a lot of great surprises you might not be aware of. Plan to visit Annapolis for the Weekend as we open our doors to over 20 locations for free or just $1 and give you fun affordable reasons to experience the area with all your friends and family. For those spending the weekend we have 2 partner hotels. The Historic Inns of Annapolis and the The Westin Annapolis are both great choices for your weekend getaway. Both are conveniently located in Downtown Annapolis Maryland. Thank you to the Chesapeake Children’s Museum for managing the event in 2017, 2018 and 2019 and to Erik Evans, Visit Annapolis, and many more for helping to market the event to get the reach it deserves! Thanks to all for your support! Learn more about the Four Rivers Heritage Area at www.fourriversheritage.org! 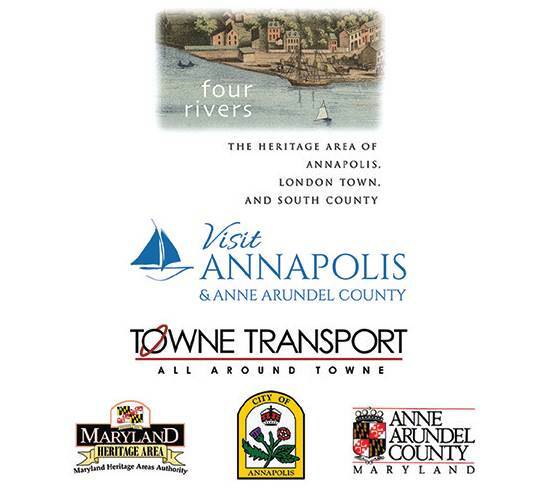 Four Rivers: The Heritage Area of Annapolis, London Town and South County is proud to sponsor the Annual Maryland Day Celebration! This entry was posted in Uncategorized on March 23, 2016 by fourriversha. Go to the VisitAnnapolis.org website for Visitor Information – See info on overnight accommodations, restaurants, shopping, and other things to do! This entry was posted in Uncategorized on November 25, 2015 by vivi0609.